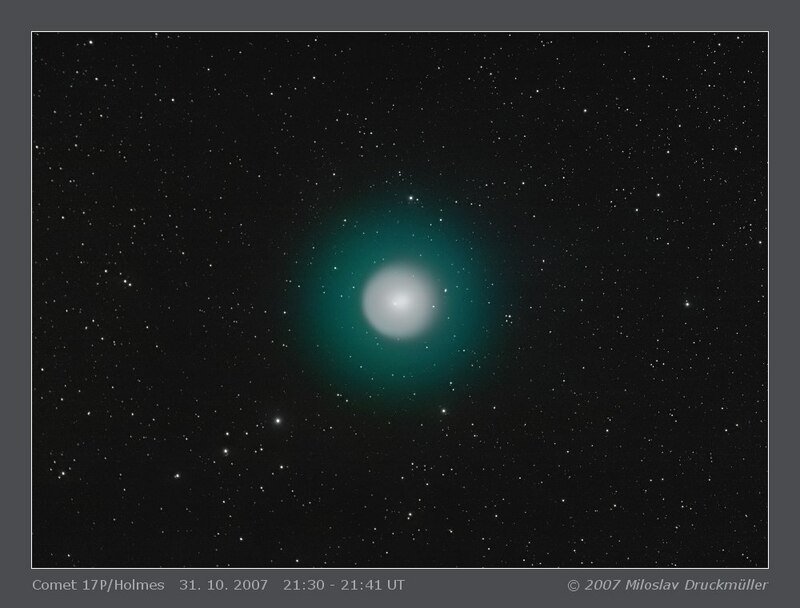 The first clear night in Brno (Czech Republic) after the Holmes comet outburst was October 31th / November 1st. 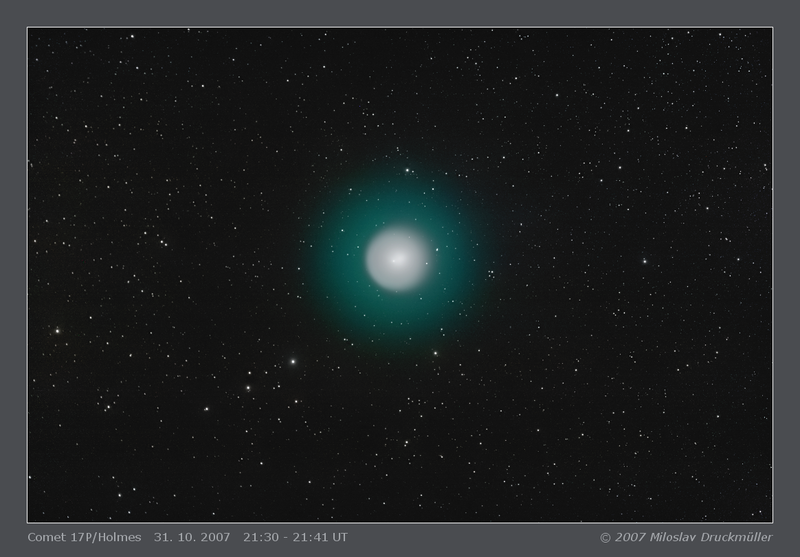 In that evening, I found the comet without any effort only by looking around. The image shows more than I was able to see with my eyes through my GS 300, 10.8/1000 mm telescope. Click on the image or on the following reference to display the higher resolution image version (659 KB, PNG format).